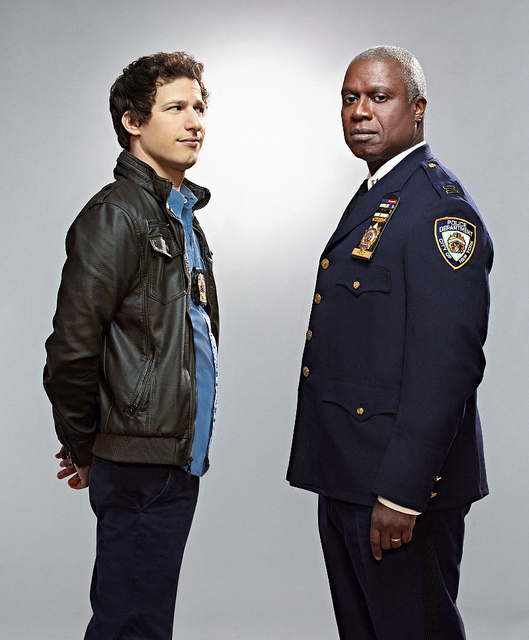 “Brooklyn Nine-Nine” is one of the most progressive sitcoms on television. I know that seems a little melodramatic, but bear with me. I’ve suffered through so many abysmal comedies, cringing at persistent laugh tracks and changing the channel whenever, for example, “The Big Bang Theory” comes on. But “Brooklyn Nine-Nine” is quirky, is not afraid to be silly, and most importantly is dismantling common and harmful TV tropes like the myth of the “friendzone.” I’m sure you didn’t realize you were in for a treatise on common cultural displays of sexism and their portrayal in TV, but here we are. I’m not quite sure how we got to this place, but it’s too late to go back now. I was skeptical of the show when it first came on. There has to be a limit to the number of good single-camera ensemble comedies in this world. But I was wrong; the limit does not exist. The cast is highly diverse, and even Andy Samberg’s star power can’t detract from their excellence. And of course, the show’s treatment of relationships and outright denial of the existence of the “friendzone” is a gift from the gods of TV. The idea of the “friend zone” is a culturally saturated myth that appears equally in real life and in media of all forms. It’s most often used by men to blame women for not wanting to date them. Men in the “friend zone” think that if they invest themselves emotionally in their friendship with a woman, they will be “rewarded” with the romantic relationship that they “deserve.” It implies that being someone’s friend is inherently less valuable than being in a romantic relationship. This fallacy has disturbing implications for friendships between men and women, and can lead to dangerous, misogynistic ideology. For a longer explanation of the “friend zone” myth than I can give here, see Love Is Respect’s excellent breakdown. When the show began last year, Detective Boyle (Joe Lo Truglio) had an obsessive crush on Diaz (Stephanie Beatriz). He followed her around like a puppy, refused to listen when she said she wasn’t interested, and generally acted like a creep. This went on for a few episodes, and then suddenly… stopped. Boyle accepted that Diaz was never going to like him as more than a friend and he moved on, no hard feelings. I don’t think I can stress enough how rare this is. Either the producers of the show were listening very closely to fan complaints, or they had planned to demolish the expectations they set up all along. Either way, it was a refreshing end to a part of the show that had become very uncomfortable for me. The second season of the show premiered on Sept. 28th with a fairly large timeline jump from the previous season. The first season ended with Peralta (Samberg) telling Santiago (Melissa Fumero) he wanted to be with her “romantic styles” just before he was about to spend months undercover and wouldn’t be able to see her. Santiago was dating someone else at the time. When Peralta eventually musters up the courage to tell her the truth about the way they left things, he tells her he is still interested, but is only mentioning it because he wants to be completely honest. Santiago is still dating someone else, and he very obviously respects that. Most importantly, he respects her and their friendship. She doesn’t mean less to Peralta because she’s not interested in dating him. Of course, it is a TV show, so the two will eventually get together, but it’s so pleasing to see that Peralta values their friendship for what it is and doesn’t resort to petty or vindictive tactics. I know it doesn’t seem like a big deal, but TV shows are part of our culture, and they often perpetuate damaging social ideas. The social status quo is upheld by everything around us, including media, and it was important to me to see a show challenging something so common that I’ve almost learned to ignore. I can’t wait to see what else “Brooklyn Nine-Nine” is going to shake up.